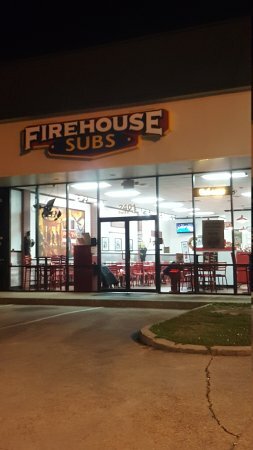 There aren't enough food, service, value or atmosphere ratings for Firehouse Subs, Mississippi yet. Be one of the first to write a review! Our choice once a week. Wonderful, clean, friendly atmosphere, With a great menu of sub sandwiches, and out favorite night time meal, "Three Alarm Chili"! Right on main drag, near the University of S. Miss. Anytime we visit Hattiesburg, we always stop and grab a sandwich at this location. We had the steak and cheese sub. Yummy and made just right. Friendly employees and clean atmosphere. 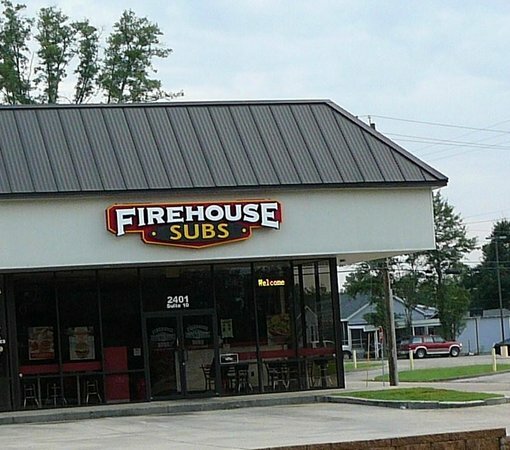 Wish there was a Firehouse Subs in Meridian, MS.
Made to order sandwich delights! Looking for a Great Sub try here. They have great subs! Some of my favorites are the hook and ladder and the meatball subs. It is themed after a firehouse because 2 fireman came up with the concept. The cookies are pretty good too. The Best Subway sandwiches! . Real quality meats and ingredients, Great staff and fast service. Average cost per meal with drink is $9.50 and include sandwich, drink and bag of chips. My favorite is the smoked brisket. it is mouth watering good to the last bite! The restaurant is easily accessible and clean. I have not ordered anything that I have not liked. The staff is friendly, and the owner treats you like family. It is a great place to get excellent sandwiches. I eat here a lot and the food is good, and the prices aren't high. Not a big menu, but everything is different than the other. Get quick answers from Firehouse Subs staff and past visitors.